Jessica is the senior communications manager at the Stone Barns Center for Food and Agriculture in Pocantico Hills, NY. She launched her career in branding and communications at a nonprofit consulting firm and an education reform organization. During graduate school for Food Studies she worked in the cheese caves at Murray’s Cheese as well as for an organic produce farm and a raw farmstead cheesemaker. 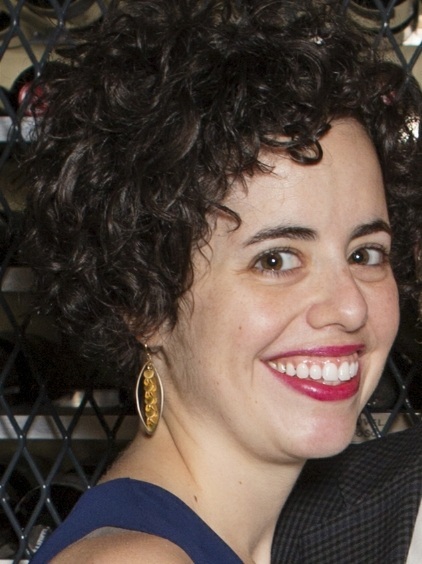 She served as the general manager at Lucy’s Whey, the Upper East Side’s largest artisanal cheese shop, and as wholesale director at New York Shuk, a small-batch producer of Israeli and North African pantry items. Jessica published an article in the Graduate Journal of Food Studies based on her Master’s thesis entitled “Cheesemongers Over Fearmongers: Toward Data-Driven Cheese Recommendations for Pregnant Women” and was a contributor to the James Beard Award-winning “Oxford Companion to Cheese.” In addition to her M.A. in Food Studies from NYU, she has a B.A. From Harvard University in Yiddish and Latin American Studies.